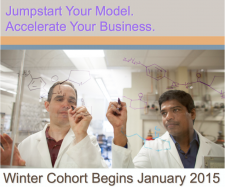 The Oregon State University Advantage Accelerator program is accepting applications for their next cohort, which begins in January, 2015 and runs for five months. Applications from innovative and high-growth traded sector companies that produce goods and services used outside the region are encouraged. Eligibility information can be found on the website. The program offers an opportunity for entrepreneurs to expand their businesses, connect with industry professionals, gain access to OSU venture development funds, and work with an advisory team to accelerate company development. The five-month curriculum uses a proven methodology to guide emerging enterprises from infancy to independence, officials say. More information and an application is available on the website, at www.oregonstate.edu/accelerator, and applications will be followed by an interview with the co-directors and a formal presentation to the entrance committee.